You are reading this post that means you are facing the error of “URL rewriting". Without solving this error ,you cant go ahead. 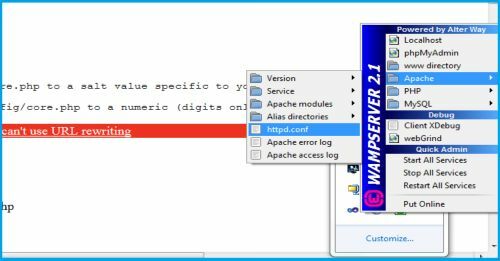 To solve this issue you need to make some changes in the httpd.conf file of the apache server. If you are using wamp server,you can access the httpd.conf file as bellow. 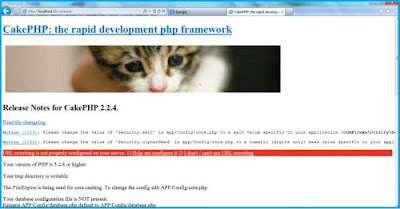 If you are using XAMPP server then, you can found httpd.conf file in the xampp/apache/conf/httpd.conf. 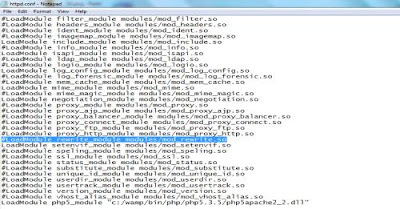 For any other apache based server config file can be found in “apache/conf/httpd.conf”. Once you open the config file, you can find a line as “#LoadModule rewrite_module modules/mod_rewrite.so” .See the image bellow. Just remove the “#” in that line in the httpd.conf file. then save & restart the Apache Server. The problem must be solved. If not then make sure that the code written in apache/conf/extra/httpd-vhosts.conf file is like as the code given below. And in apache/conf/httpd.conf file it should be like as below. 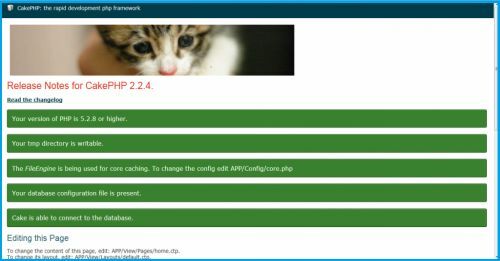 You can continue CakePHP development, If you are getting green screen as above . Good luck with CakePHP Framework.